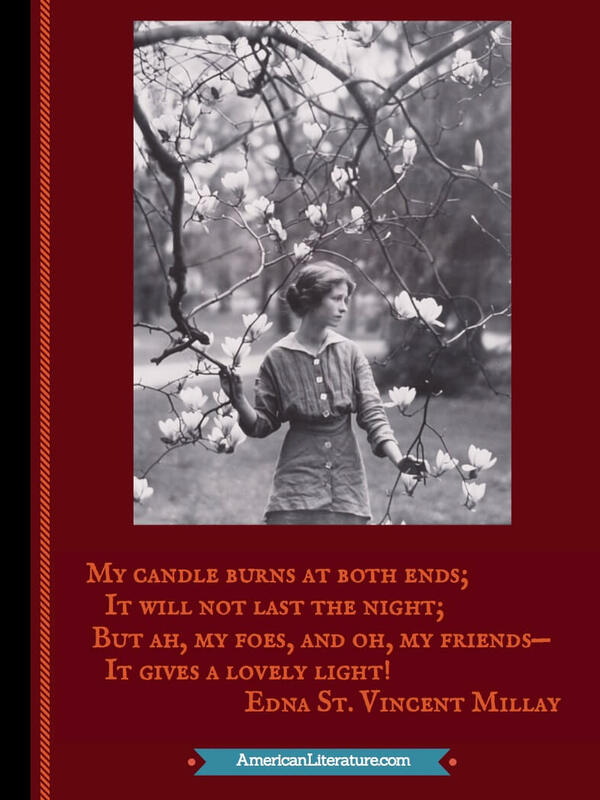 Edna St. Vincent Millay (1892 - 1950) was an American poet, playwright and feminist, considered one of the most successful and respected twentieth century poets. She and Robert Frost wrote the most skilled sonnets and combined traditional forms with modernist attitudes, creating a distinctly American style. Millay wasn't afraid to express her political views, advocating for gender and sexual orientation equality. In addition to her gifts as a writer, people liked her. Millay gave riveting readings and performances, and became emblematic of a new kind of woman. Millay won the Pulitzer Prize for Poetry in 1923 for The Ballad of the Harp-Weaver. She was the third woman to do so; Sara Teasdale won it in 1918. 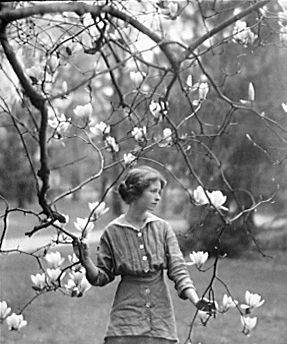 Millay's acclaimed works include First Fig, Eight Sonnets, as well as her collections, Second April , and A Few Figs from Thistles . We feature Millay in our collection of Pulitzer Prize Winners. Born in 1892 in Rockland, Maine, a hardworking lobster fishing town that continues to embrace its famous artist residents, including Millay and N.C. and Jamie Wyeth. Visit mid-coast Maine and you'll see Millay's lasting influences, including fliers for her poetry readings in local bookshop windows, and a lovely statue in front of the Camden, Maine library, overlooking the Penobscot Bay. It is encouraging that a new generation of artisans and entrepreneurs have discovered the rugged beauty of a place Millay called home.